Introducing '' Meribella'' a 3600 total sq.ft. 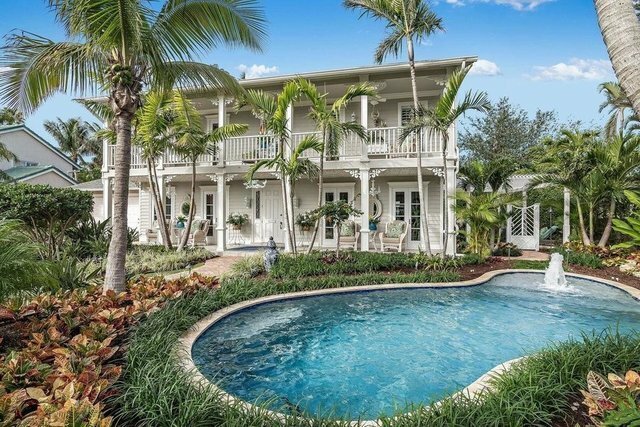 Key West oasis situated on a South of Southern cul de sac. Offering a private dock slip on the Intracoastal waterway this renovated 4 bedroom home offers a light filled open floor plan Brazilian cherry hard wood floors oversized impact windows and French doors custom mill work top of the line stainless steel appliances wine refrigerator and an expansive indoor/ outdoor entertaining spaces. Lush tropical landscape surrounds the brand new custom heated pool. Additional features include a 2 car garage custom wine storage and an expansive 2nd floor balcony.